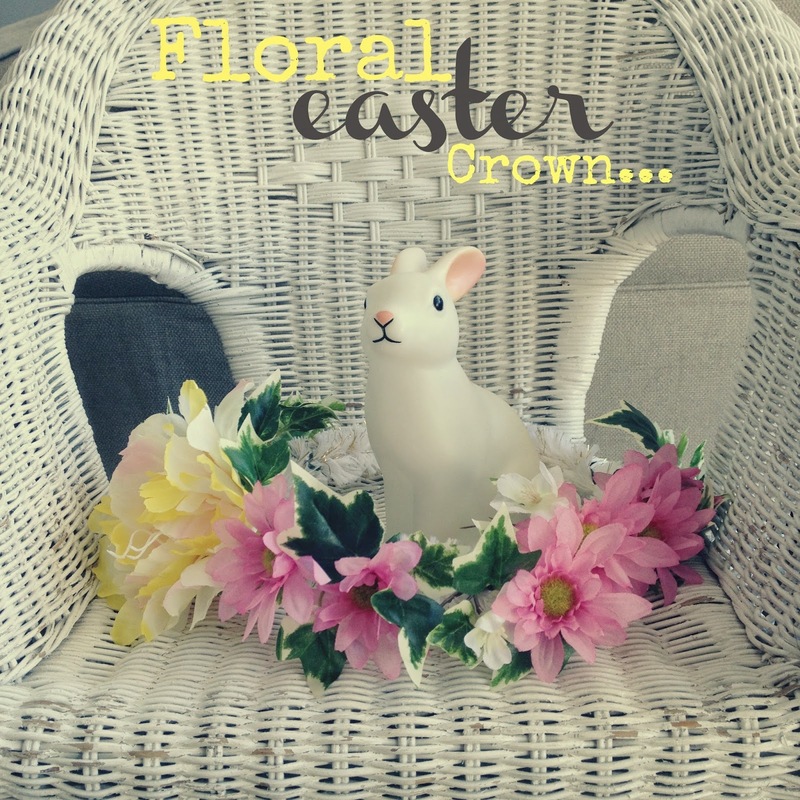 This Easter craft is super quick...and CRAZY cute, once you have all your *bits* together. We are making this at Audrey's 9th Birthday with her *bestie gang* from school. I'm going to have each place sorted, and set up with all they'll each need to make their own. I can't wait to see how they put their's together...undoubtedly I'll be sitting on my *helping hands*!! I'll be thinking balance and they'll be thinking *go-for-it-fun*! 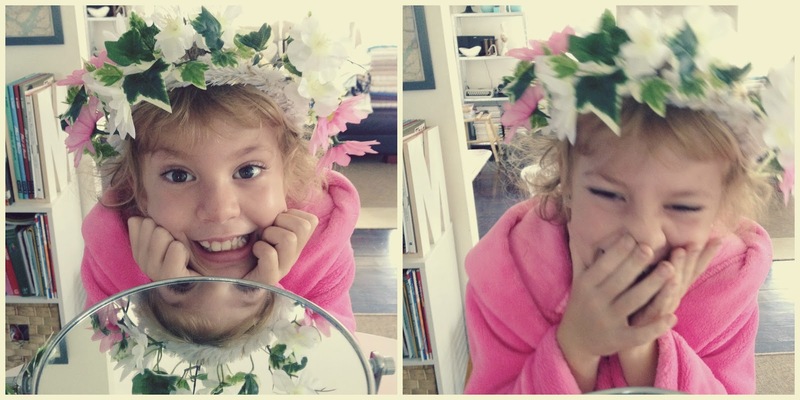 The girls sweet-as crowns will have a creative energy, that as party-planner, mine will not! 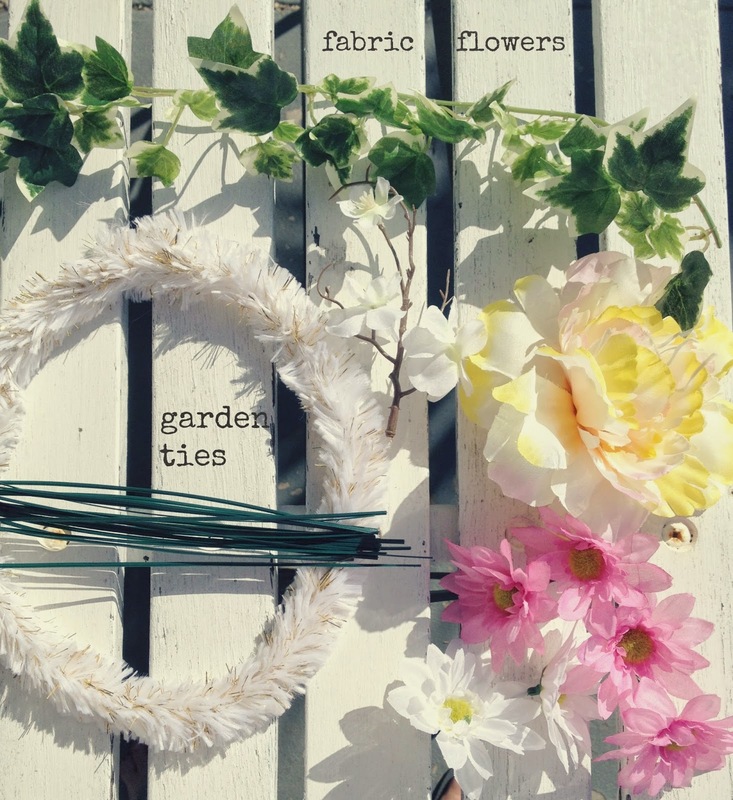 -fabric flowers...all sorts, go as simple or indulgent as you like! What to do- building that crown! 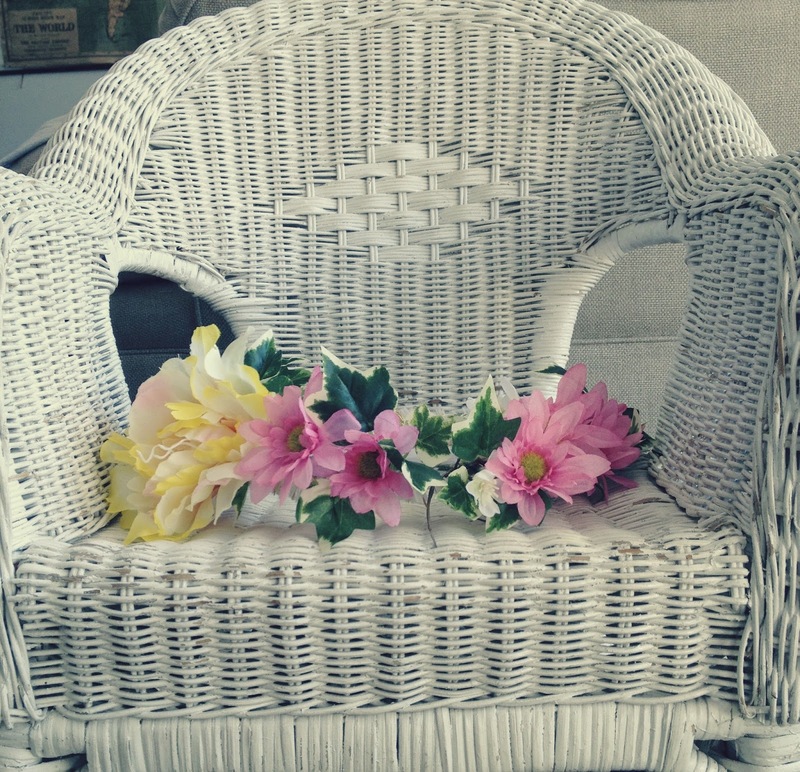 -remove all the fabric flower heads from their stems, leaving a small green end to tie onto the crown keeping the flower in firmly in place. -using the green garden ties, firstly tie your vine leaves as the base and build up using your larger then smaller flowers to fill the spaces in between. -be sure to tuck all the garden tie ends in upon themselves, so there are no sharp ends! Put on head in your dressing gown...giggle and enjoy! This is one of the simples, prettiest easter/birthday crafts we've done. It's super inexpensive and almost built from what you may already have around your home! Too cool. My girls would love these! That's really cute and she looks adorable I'm sure this will be a great hit. Wow, that looks so fabulous, love how those floral accessories stand out on that craft. This is perhaps one of the coolest and cutest Easter crafts for kids I've seent oday. Love it!